SNA BLOG: It wasn't me! 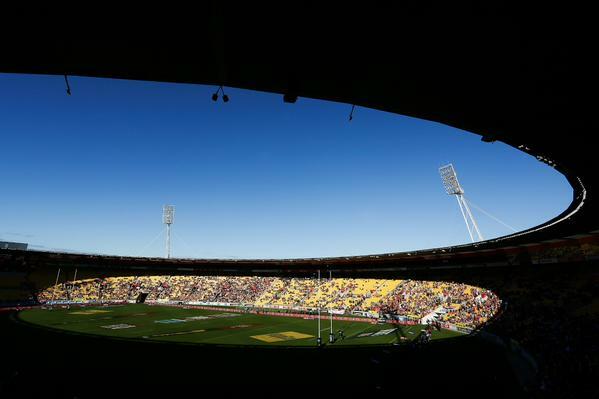 Westpac Stadium in Wellington New Zealand where Kenya reached he World Rugby Sevens final. Arnold Bennet. In Robert Greene’s book, The 33 strategies of war, he says that life is an endless battle and conflict, and you cannot fight effectively unless you can identify your enemies. Learn to smoke out your enemies, to spot them by the signs and patterns that reveal hostility. Then, once you have them in your sights, inwardly declare war. Your enemies can fill you with purpose and direction. “But she caught me on the counter, WASN’T ME” sings Shaggy. If you were around ten years ago you will know what Shaggy was singing to and strongly defending. I read somewhere that in 2014, in all the board meetings no rugby was discussed. There has to be a big problem with that. There is a saying that goes; the business of business is business. When the main agenda of the union which is rugby shifts and we start having people acting as if they are in a soap opera or a Nollywood movie you are sure to reap results from a soap opera. Rugby Union has always worked well and been set apart from other sports associations because it never aired its dirty laundry in public. Now we have directors exchanging words amongst each other and sponsors without a second thought. We have reports being shared of so many irregularities, misuse of office, wrong procurement procedures, misappropriation of funds; we can go on and on. I wonder how some individuals in that union even got there. People who bite the hand that feeds them usually lick the boot that kicks them.” Eric Hoffer. We recently saw Safaricom pulling out its sponsorship deal with rugby. This translates to one hundred and forty million shillings in lost revenue for rugby. Bamburi cement that has sponsored the Super-series to the tune of twenty million for the last five years or so have also pulled out, Bollore also followed suit. The remaining main sponsor being Kenya Airways run a risk of denting their image; I mean when the largest tax payer is running away from the sport, questions are going to be raised and you either stand for impunity or transparency. It is good to look at what sponsors have done for the sport of rugby and how it has helped it make history. Before Virgin Atlantic, Kenya 7s was struggling to become a core team in the circuit. Then in came Virgin and players burst into life, and the team was able to go semi-pro and put players on a salary and hiring of professional staff that could manage this team well, including the likes of a nutritionist and a speed, strength and conditioning coach Geoffrey Kimani who has helped change the face of Kenya 7s. This enticed Kenya Airways to jump onto the wagon. Bamburi cement brought something to players they had not considered for a long time. It brought the weekend allowance and a promise of kit at the end of the tournament. Players selected for the Super-series could now let other players have more game time in their present clubs thus more development. Fast forward to last year when the national 15s made history and went to South Africa for two months for the Vodacom Cup all thanks to the sponsors, EABL and Migaa. Kenya 15s will not take part this year stating lack of funds or is it lack of sponsors? Rugby is not a sport that can be funded by an individual’s pocket, unless its Bill Gates and we know that’s not happening anytime soon. That is why we need the sponsors on board and when we have them saying, it won’t be us, we are surely headed in the wrong direction. There is a Kiswahili proverb that says, when two elephants fight, it’s the grass that suffers. And this is definitely what we have here. With all these wrangles that have been going on in the union, court cases, and bribes and abuses, let’s count the damages it has had on the players and the sport. Safaricom had taken up the sponsorship of the local 7s circuit that meant teams that hosted the different legs bagged in 1.5 million shillings. For anyone who runs a club, you know how much such money comes in handy, especially during league period. Teams that have been affected are Kisumu, Nakuru, Mombasa, Harlequins and Mwamba. With Bamburi withdrawing, it means players might not get the weekend allowance and who knows what more only time will tell. We recently also saw Kenya sevens players down the opportunity to represent their country and you all know how that turned out. Lack of integrity, disunity and Zero development that kills the sport is what the union has basically stood for and shown in the past year. It doesn’t take a genius to identify your enemy on the present situation of the union as Robert Greene says. What Robert also says is that what most often weighs you down and brings you misery is the past. You must consciously wage war against the past and force yourself to react to the present moment. Be ruthless on yourself; do not repeat the same tired methods. Wage guerrilla war on your minds, allowing no static lines of defense- make everything fluid and mobile. With a lot been thrown to the wind, it’s important to borrow a leaf from Mr. Greene. It time to get with the programme… HAYA BASI!!!! !